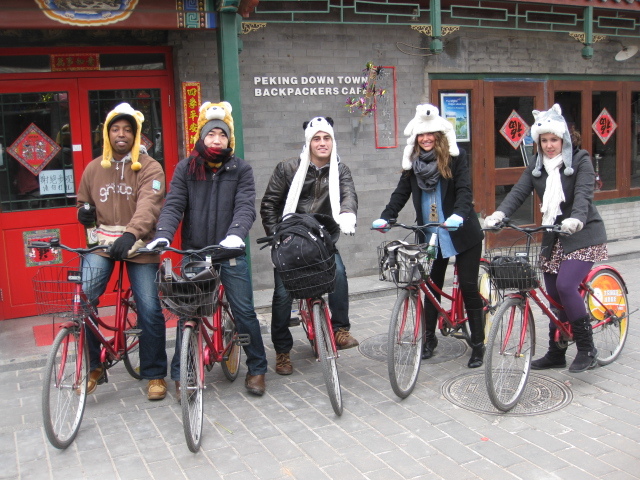 Located in a quiet neighborhood now preserved by the Beijing government as a cultural heritage and surrounded by courtyard houses and narrow lanes that date back to the Yuan Dynasty (1200’s), Beijing Downtown Backpackers is the ideal place to experience the true Beijing. Hear the peddlers selling their wares, listen to amateur opera singers practice Tai-chi in the early morning, join a fan dance, or grab a sword. The famous Houhai Lake area is just a 10 minutes’ walk, a wonderful place for fishing/ skating and popular for night life. Walk just 30 minute (faster by bike) to the Forbidden City and the public bus rear the hostel takes you to the Temple of Heaven and Summer Palace.